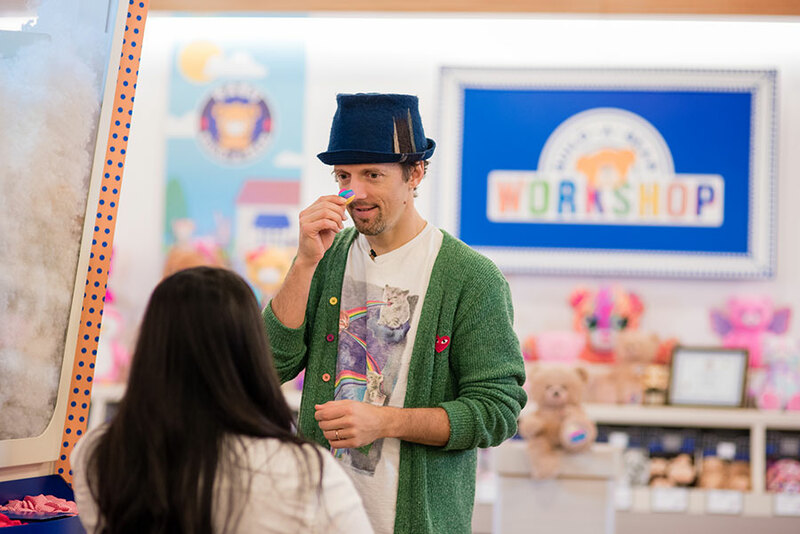 A Hug AmBEARsador is someone who embodies the Build-A-Bear mission of “add a little more heart to life.” By focusing on what is good in the world, a Hug AmBEARsador uses their platform to share heart, hugs and happiness. 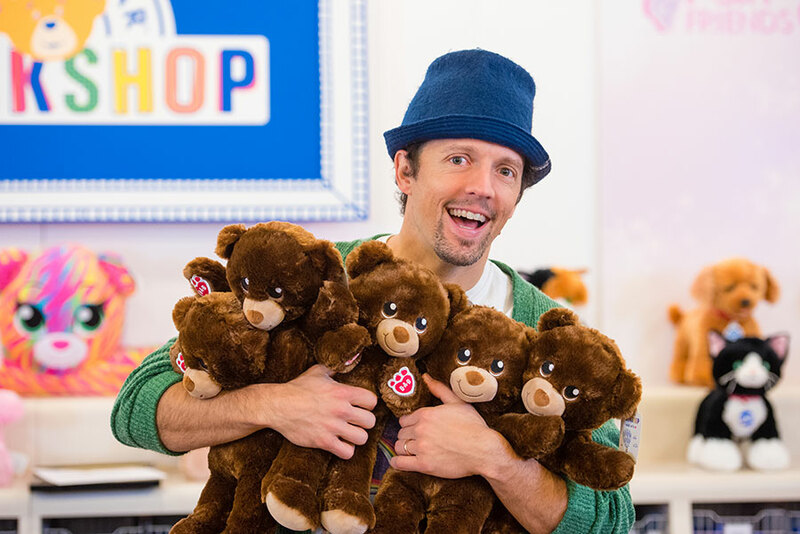 Jason Mraz Is Our 2019 Hug AmBEARsador! 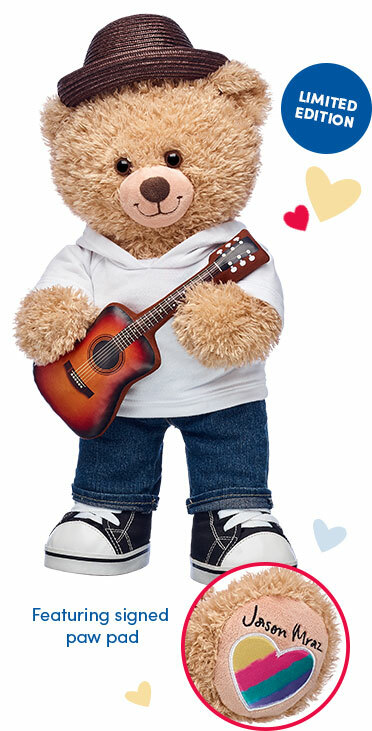 Hugs, hearts and happiness – we’re celebrating National Hug Day with the help of our NEW Hug AmBEARsador! National Hug Day is a day to celebrate all the heart and happiness a bear hug can bring, and it’s a special day to feel firsthand how bear hugs can come in all shapes and sizes. 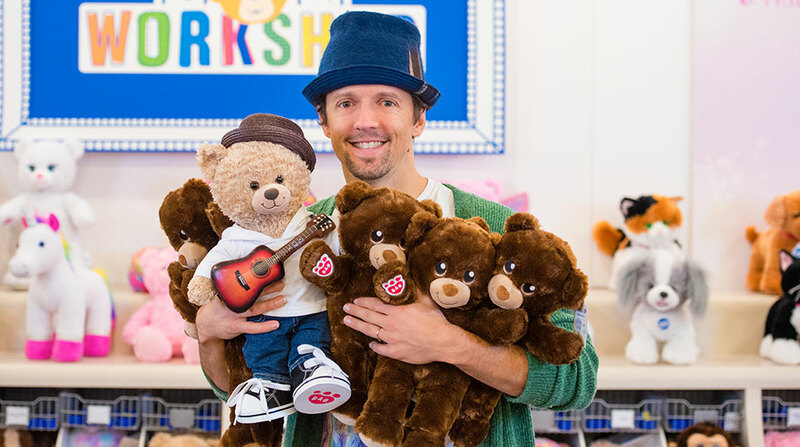 For our 2019 National Hug Day celeBEARation, Build-A-Bear is teaming up with recording artist Jason Mraz to share hugs with more people in more places! As our 2019 Hug AmBEARsador, Jason’s helping us share positivity and creativity by bringing music and furry friends together. 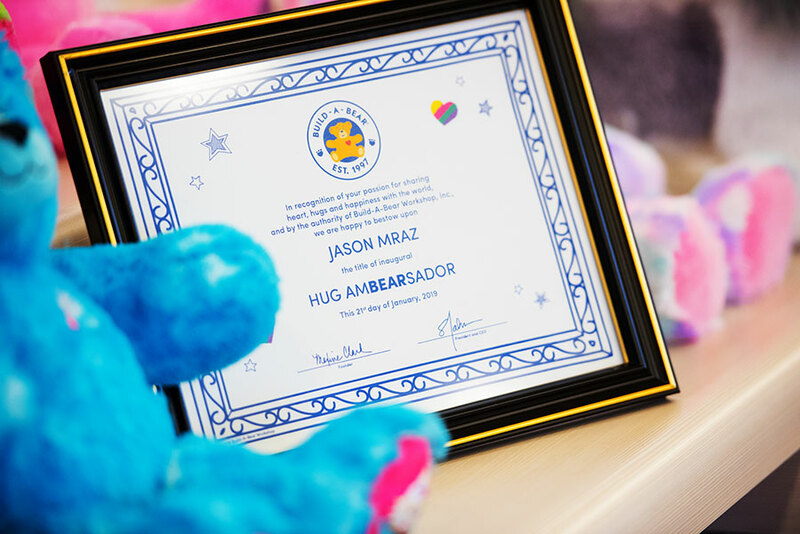 Jason’s inspirational music perfectly aligns with the Build-A-Bear mission of “add a little more heart to life.” We even made it official by giving Jason his own Hug AmBEARsador award at our World Bearquarters! 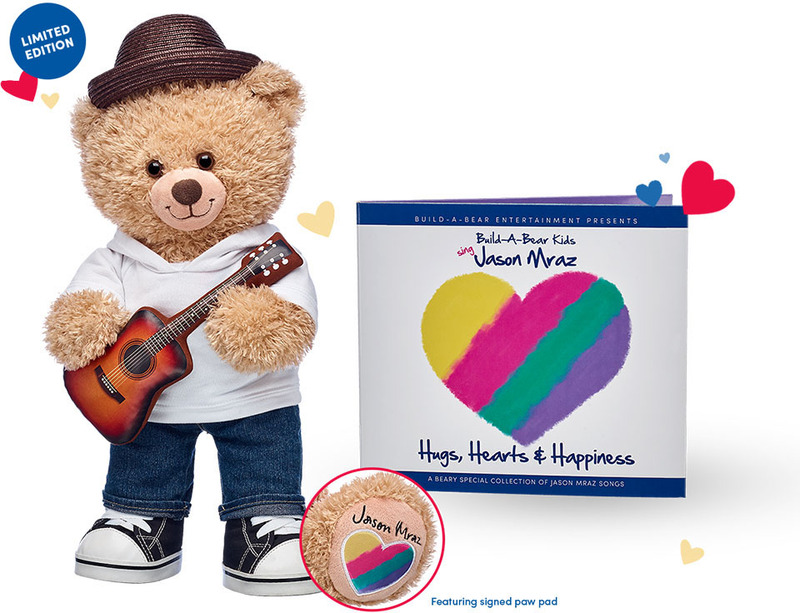 NEW JASON MRAZ BEAR and CD! Our Bear Builders commemorated this hug-tastic occasion by making our first-ever Jason Mraz Bear! Inspired by our 2019 Hug AmBEARsador himself, this cuddly teddy bear arrives just in time for National Hug Day. 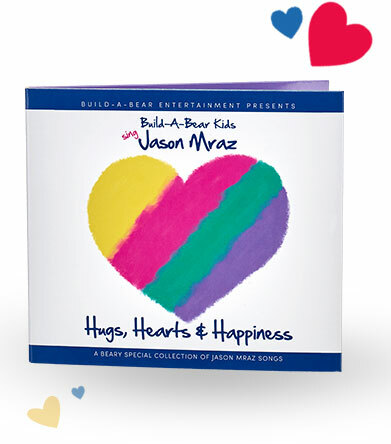 You can also get your paws on a limited-edition copy of the NEW “Hugs, Hearts and Happiness” CD album, which features Build-A-Bear Kids singing a beary special collection of Jason Mraz songs! National Hug Day is January 21, 2019 – but we’ve got so many hugs to go around that we’re having a TWO-DAY celeBEARation! Check out all the furry festivities we have planned in stores for January 20 and 21, 2019.